The cumulative energy of thousands dancing to booming pop music was electric. The second the beat dropped, the sky exploded in colour. Vibrant powder filled the air, creating an enchanting cloud of pink, blue and yellow. 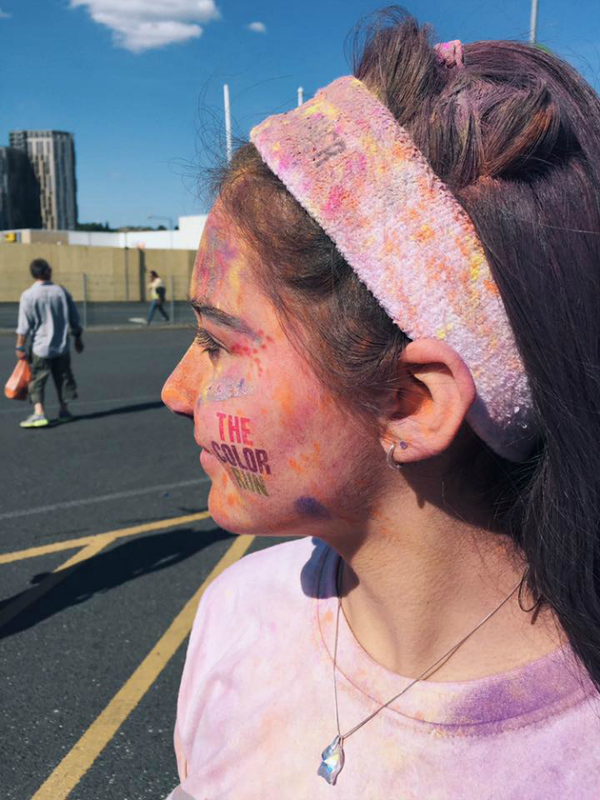 This was the gleeful celebration of The Color Run. 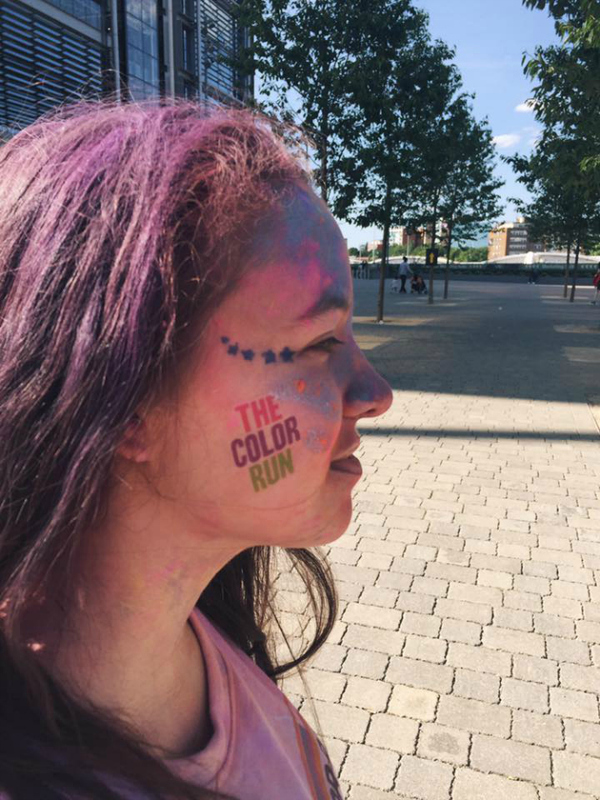 I'm not a sporty person, but when my friend Julia suggested we run around Wembley Stadium whilst floating through clouds of colour, I couldn't resist. 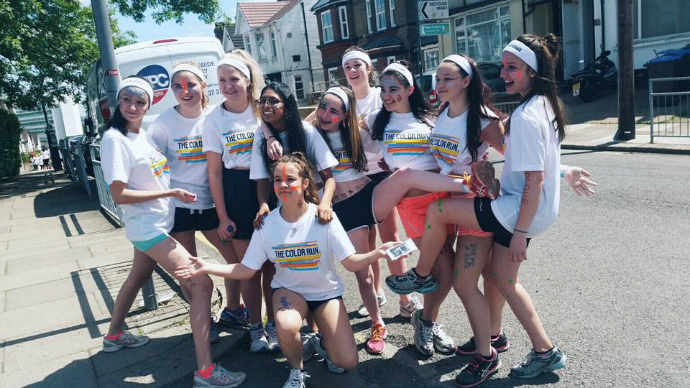 We entered as a team - named 'Dye Me A River' - and went all out with face paint and glitter. 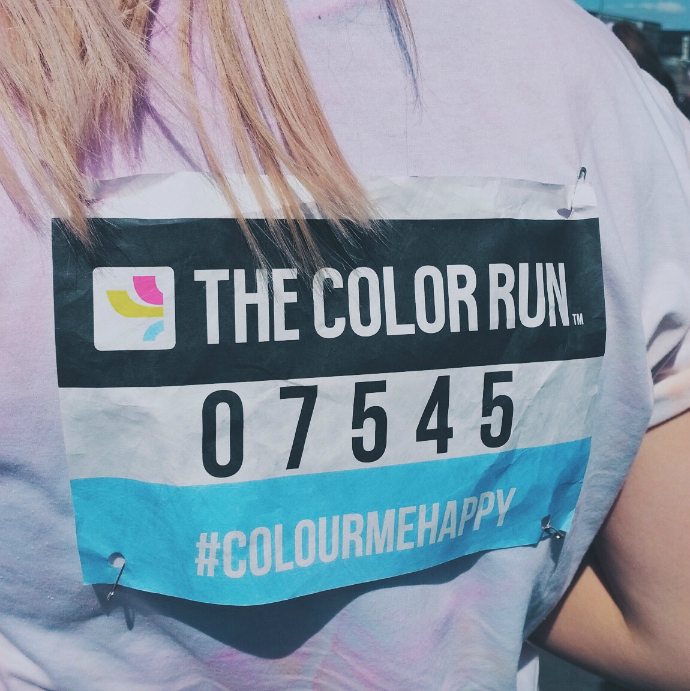 Every kilometre, we were dosed in colourful powder and everyone was cheering and smiling. It had such a happy atmosphere. By the end of it we were human rainbows. The best part was the Finish Festival. 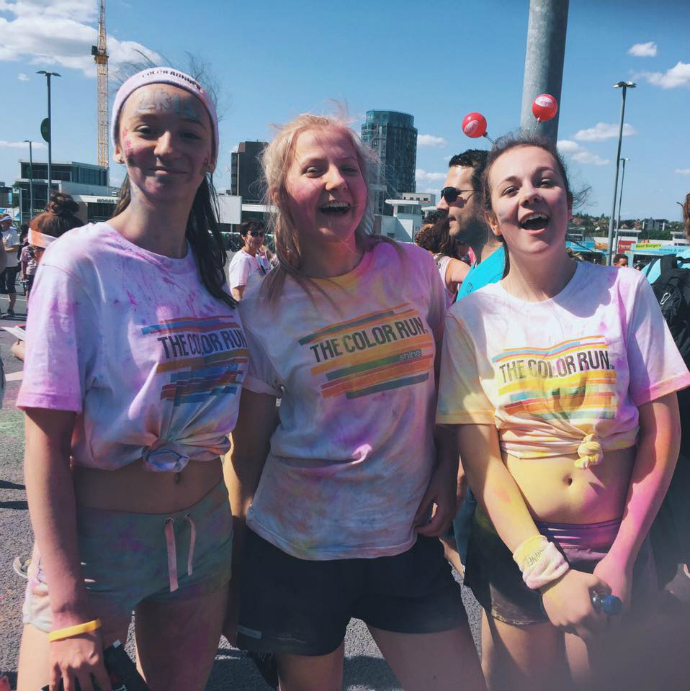 Sarah (left), Lily (right) and I went into the crowd and danced to cheesy pop music in anticipation of one of the famous 'colour throws'. You can see the magical outcome of this in my vlog below. 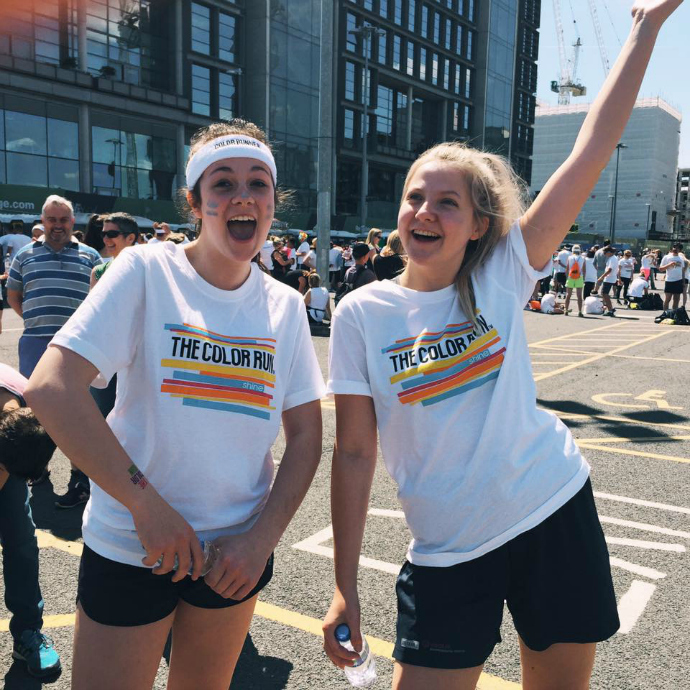 It was a great experience and The Color Run are partnered with NSPCC, so the money goes to a good cause! If you want to sign up to one near you, check out their website HERE. 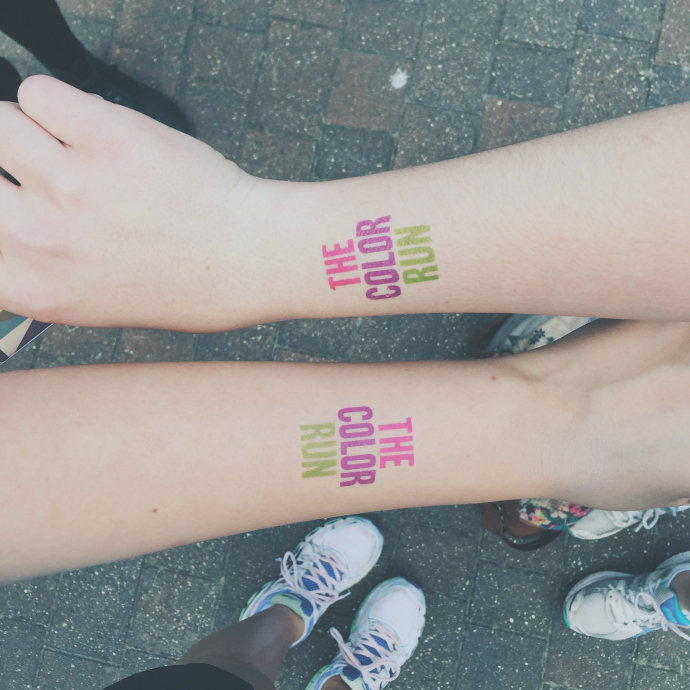 #ColourMeHappy couldn't be more true. Yeah it was great thanks! Looks like you guys were having a great time! The pictures and the vlog made me so jealous :( i wish i did it!! !